How much is Larry The Cable Guy Worth? Larry the Cable Guy net worth: Larry the Cable Guy is an American stand up comedian and actor who has a net worth $80 million. 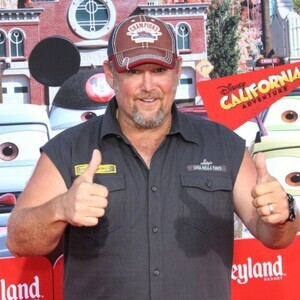 Larry the Cable Guy was born Daniel Lawrence Whitney on February 17, 1963. He grew up in Pawnee City, Nebraska. When Larry turned sixteen, his family moved to Palm Beach County, Florida. In Florida, Larry attended The King's Academy where his father was the school principal. He would not graduate from this school and instead finished at Berean school, in 1981. After high school Larry began working at Wendy's. He quit when he began to become part of the Palm beach comedy scene. In 1991, he began doing radio comedy when he would call up radio stations in different characters. It was through this venture that the "Larry the Cable Guy" persona was born. The Cable Guy character became a staple of his routine. 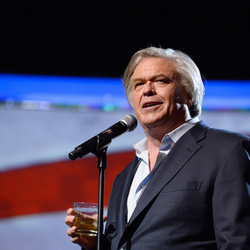 The character speaks with a trademark Southern accent and talks about topics ranging from family stories to jokes about his redneck "background". He even has his own catchphrase "Git-R-Done!". 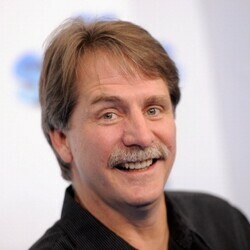 Larry's fame really came into fruition in 2000 when fellow comedian and friend Jeff Foxworthy (the two met years earlier on Foxworthy's radio show) invited Larry to join his "Blue Collar Comedy tour". Rounding off the group with Larry and Foxworthy was comedian Bill Engvall. The tour became a monster success. To top it all off, when the tour was released as a live comedy DVD it sold over a million copies. Larry followed this success and newfound fame with two CDs, both of which were huge successes. In 2006, Larry brought the Cable guy to cinemas across the country with "Larry the Cable Guy: Health inspector". A year later, Larry appeared in "Witless Protection". It has been estimated that at the peak of his career and fame, Larry earned $70 million in a single year mainly through touring and endorsements.